We turned the corner and crossed the hold short line to the blast off section of Runway 17 in this new Skyhawk we were flying, N688CS. It was my usual haunt, San Marcos, Texas, and the November air was still too warm for late fall, though the stability of the air, luckily, could have been worse. As I advanced the power lever—it’s really not a throttle, more of a way to let the system know I wanted more power—I took in the whirr. It was really quiet, the kind of quiet that takes some getting used to, that is, if you’re not current in a diesel-powered airplane, which I wasn’t. I was expecting the lack of gas-piston noise, so that wasn’t the part that made me take notice. No, the unexpected thing was that we were climbing, I mean, actually climbing, as in a very strongly positive rate of climb on the VSI. Like there was a real motor up front there. I said to myself simply, “Now we’re talking,” as I thrilled in the kind of climb performance I’m used to getting in a good old-fashioned 172, which is to say, not spectacular but pretty darned good. Now, I know that a Skyhawk is a Skyhawk is a Skyhawk, etc. … It is, after all, the most-produced plane of any non-balsa category. And I’ve flown a few of them, maybe 50 or so, and the general feeling of the plane is pretty similar from one to the next. Yes, the 180-hp models do use less runway and climb a bit better, and the sound of the engine back in the Continental six-banger days was different, too. But those are rounding errors compared to what the new Skyhawk JT-A brings to the headsets. After 70 years of Skyhawks, this one is really different. It wasn’t my first time at the autobahn-inspired rodeo. I first flew a diesel-powered Cessna Skyhawk years ago. That first iteration was called the 172-TDi, and it trotted out to the track behind a Thielert turbodiesel engine putting out just 125 ponies. As you probably know, the diesels offered by Thielert and Austro, the first a German company and the second an Austrian one, are major conversions of existing automobile engines. The package was, in all honesty, very nicely done, with the engine gauges rendered by Garmin’s magic and the rest of the airframe in Cessna’s usual clean-cut Midwestern quality. And everything worked. But my biggest remark was that it needed more power. I think everybody in Wichita agreed, though at the time there weren’t any suitable engines that offered more power. And with Thielert's demise soon after the TDi’s introduction, the project was put on a far back burner until a suitable alternative emerged. 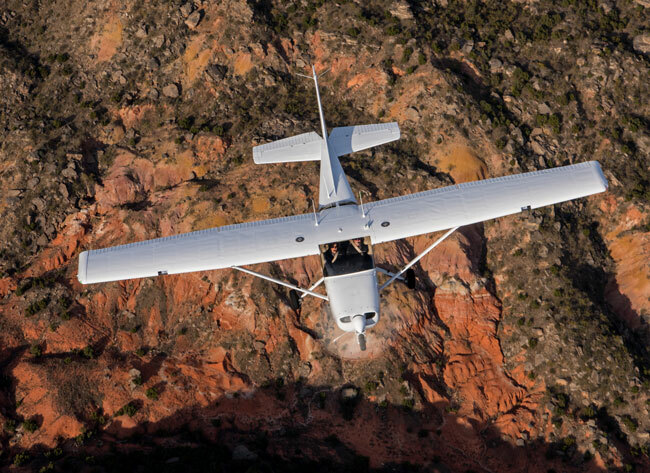 The 2018 Cessna Skyhawk JT-A is the first class of diesel-powered 172s . 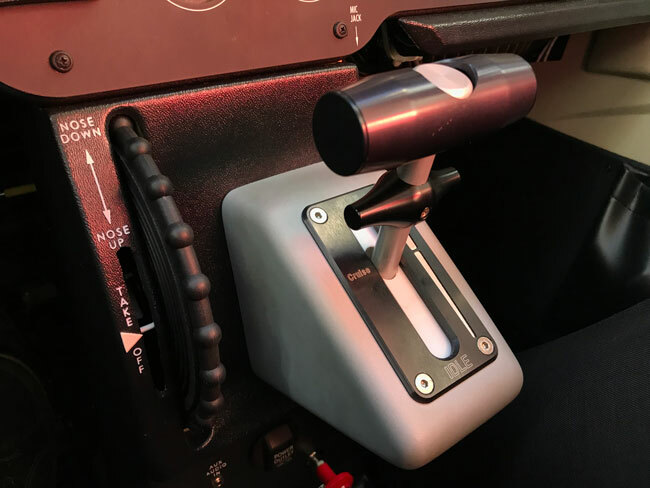 While the propulsion system is all new and will require study before hitting the “ON” button, the plane’s flying manners will be familiar to anyone who’s flown one of these archetypal birds. Today’s Skyhawk, called the JT-A (a mnemonic for “Jet-A,” the fuel it runs on), is powered by a 155-hp Continental CD-155 turbodiesel, which, too, is descended from a Mercedes engine, but unlike the original Thielerts, the CD-155 has had the rough spots, ones that increased ownership costs, largely buffed out. Back to a Skyhawk being a Skyhawk. If this one’s not, it’s really because of the engine. One thing I can say with certainty is that little of what I’ve learned over the years about light aircraft engines is much help in understanding the CD-155. If asked to list the similarities with a Lycoming IO-360, the engine that for the past couple of decades has passed for the prototypical aircraft engine, I’d start with the fact that both engines have pistons and cylinders and other associated drive train components. After that, the list of similarities is a short one. The differences are another story. It’s an old tale/tail, but a good one. The new plane features no airframe changes (save some minor cowling modifications). The CD-155 is an inline engine, as opposed to, well, an opposed configuration. The 2.0 liter features double overhead cam design and relies on liquid cooling using a mixture of coolants to keep things happy, because things can get hot in a turbodiesel engine. The case is heavy in a diesel engine, too, as the pressures are far greater than in a gas-piston engine (diesels have pistons too, remember), and these engines, unlike most aviation engines, feature a reduction gearing system that reduces the drive shaft rpm by a ratio of 1.69:1. Reduction is not necessary because the CD-155 is a diesel engine but because it’s a repurposed automotive engine, though there’s not that much automotive left behind at the end. Auto engines are typically built to run at high rpms for a long time. This wouldn’t be a bad thing for airplanes at all, except that in order to be efficient, propellers need to operate at slower speeds. It’s no mistake that just about every airplane you’ve flown, at least the ones with a prop or two, drives that prop at between about 1700 rpm and 2700 rpm. Any slower and they’re not making much power, and any faster and the tips go supersonic. There’s also something called a “common rail” for fuel distribution that uses a very high-pressure fuel pipe, known as a rail, that delivers the fuel at a uniform high pressure to individual valves for each cylinder, resulting in extremely exact fuel metering when compared with the low-pressure fuel pumps on gas piston engines. There’s no carburetor or throttle vale. Great fuel economy is a big selling point of turbodiesel engines. Where things are different on this Skyhawk is up front, where the Continental CD-155 spins an MT prop. The cowling has been modified slightly to accommodate the needs of the turbodiesel engine. Another feature of the CD-155 is true dual channel FADEC, which handles all the fuel and prop adjustments. So while the JT-A has a constant speed prop, there’s no user input required. The Skyhawk JT-A is a single-lever airplane. Right after you start the engine on the JT-A, the system puts itself though a check to ensure that each channel is working properly. It will run on just one if need be. There’s also a backup battery that you need to test before you go flying. Magnetos used on conventional gas piston engines are failure prone and finicky, true, but they make their own juice. It’s a little strange to see what we used to think of as entry-level piston singles with turbocharging systems, but that’s the nature of things. 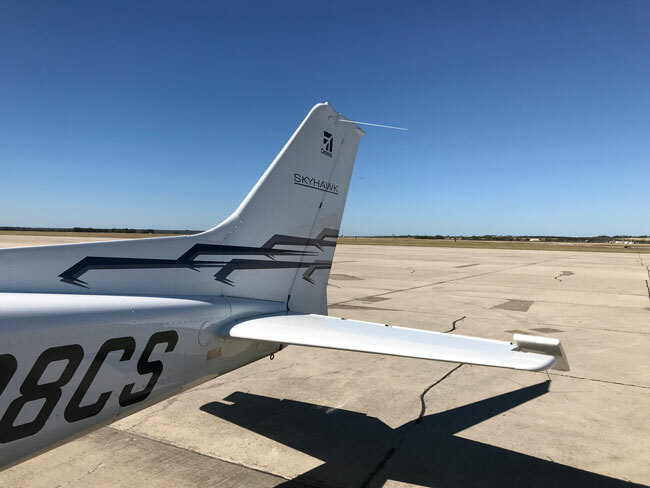 Of course, airplanes that cost this much—the Skyhawk JT-A goes for $438,000—are hardly entry-level airplanes, but as trainers they will be flown by low- and very-low-time pilots. In former times, turbocharging was the domain of retractable-gear transportation singles and twins, though in recent years makers of high-end fixed-gear singles have offered customers turbocharged-engine options, too. But a turbocharged Skyhawk? It’s a new thing, and the only way that such a technology will work is if its management is a no brainer, thanks to FADEC. Whereas turbocharged engines of old required constant monitoring and careful power management in all phases of flight, the CD-155 is just about idiot proof, which is a requirement for a trainer. 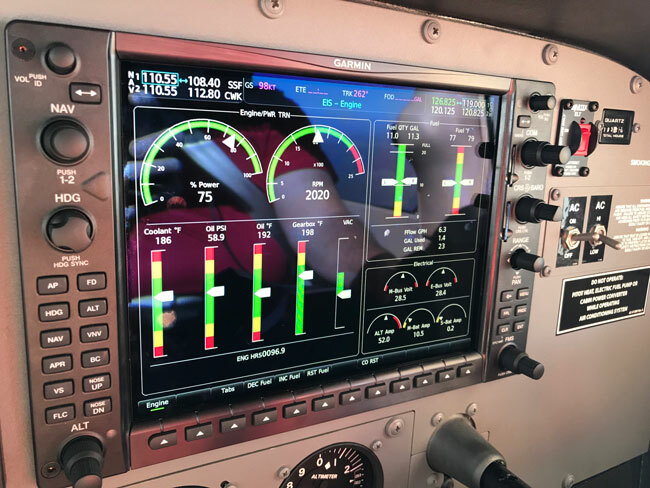 Engine start and management are made easy by the smart integration of the CD-155 instrumentation into the NXi avionics suite. Engine parameters with FADEC are done in percentage of power, a calculation the system makes for you. Part of this user friendliness is the adoption of the Garmin G1000 NXi flight deck, into which Cessna incorporated all the information you’ll need to operate and monitor the health and happiness of the CD-155. In addition, you get all the regular NXi goodies, including standard ADS-B Out and In, VFR sectional charts, IFR charts, the cool new vertical situation display, visual approaches to thousands of runway ends, along with the core NXi attractions, faster processing and performance, improved symbology, better panning and easier navigation. You can add the options of the FlightStream wireless flight data transfer and Surface Watch, for industry-leading taxi and runway information and situational awareness. Standard equipment is the Garmin G-1000 NXi, the latest iteration of the G1000 suite with numerous updates and improvements. A lot has been said about the value of Jet-A for the training fleet, and it’s all true. Jet-A is cheaper than 100LL by a good delta, one that will likely grow as new unleaded fuels are introduced and then mandated. And Jet-A is available all over the world, even in those many places where 100LL is hard or impossible to find. So will the Skyhawk JT-A take over from the 100LL, Lycoming-powered version? Time will tell, but we expect the upkeep on the CD-155 to be much more expensive than the IO-360 even though the Continental diesel’s maintenance intervals have increased to reasonable amounts over the past several years. Like just about every other turbodiesel aviation engine, at least so far, instead of having a TBO (time between overhaul), the CD-155 has a TBR (time before replacement) of 2,100 hours, up from 1,500 hours just a few years ago. And there are several components that need to be replaced at 1,200 hours, including the gearbox, the chain drive, the fuel pump and the alternator. The original TBR for the gearbox was less than 500 hours, and the prices Continental is charging for these components is a fraction of what Thielert did, and the components don’t need to be shipped overseas on exchange. It can be done right at home. Still, the replacement of the engine at 2,100 hours will set operators back around $40,000. LED landing lights are standard equipment. The lights are just one of the many updates not new on the JT-A but recent additions to the Skyhawk. Sounds outrageous, but it’s not, at least not in comparison to conventional gas piston engines. With a fuel burn at least 25 percent lower than the IO-360 and even lower than that at typical training power settings, the JT-A will burn a lot less fuel. On top of that, with Jet-A being around a dollar a gallon cheaper than 100LL in North America, over the course of those 2,100 hours, the operator will save many thousands of dollars and skip a lot of the engine maintenance items on the way to TBR. And for really busy flight schools, the 172 JT-A will be able to skip a lot of fueling stops and keep flying. It’s not uncommon for planes to wait 10 or 15 minutes for the truck to show up and then fuel the plane. All of those additional stops add up to lost revenue in the long run. And if you’re talking Europe, where the delta between 100LL and Jet-A is far greater than here—a gallon of 100LL in Brussels today costs around $11 U.S., whereas Jet-A at the same airport is just over $5 a gallon, around what it costs in the United States today. The economics are a no-brainer there, and in places around the world where 100LL is far more dear—we’ve heard reports of airports in the bush charging $100 a gallon for it (probably with little repeat business)—Jet-A, or even diesel, is nearly always available. The power control in its single-lever glory. 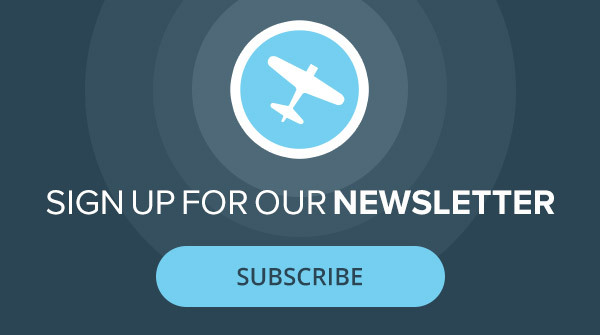 The simplified power management will surely help pilots focus on Job One: flying the plane. Okay, the term “eye popping” might be an oversell, but there are dramatic differences between the two birds, enough that I can answer my previous question, “When is a Skyhawk not a Skyhawk?” When it’s a Skyhawk JT-A. While the tactile experience of flying the JT-A is strongly reminiscent of the Lycoming model, the performance of the turbodiesel model is quite different. This is, admittedly, in part because it is turbocharged. The blower allows the JT-A to achieve better true airspeeds, as much as 10 knots, because as it goes higher and the air gets thinner, the engine continues to produce full-rated power. The ceiling is also upped, to 18,000 feet, 4,000 feet higher than the regular Skyhawk. The plane can, by the way, be operated at max power continuously, which is referred to sensibly enough as “max continuous power.” The powerplants in some turbocharged planes, you might know, allow for time-limited full throttle operations. Not so in the JT-A, though, in all fairness, most training—the plane’s most likely application—will be done at a reduced power setting. Another noteworthy improvement in the JT-A’s performance is its takeoff ground roll, which at a published 844 feet, is more than a hundred feet less than the Lycoming-powered model. This is despite the fact that the diesel version has a lower useful load, because of the increased weight of the diesel system—remember that Jet-A is about a pound heavier per gallon than 100LL. The JT-A comes in at 110 pounds heavier empty weight, though its max takeoff weight of 2,550 remains unchanged. The improved takeoff performance is thanks to differences between the models. The CD-155 offers greater torque and the use of a constant speed prop, where you can get the best of both worlds, fine pitch for takeoff and coarse pitch for cruise, whereas in the gas-piston 172, you get a compromise between those ideal settings. 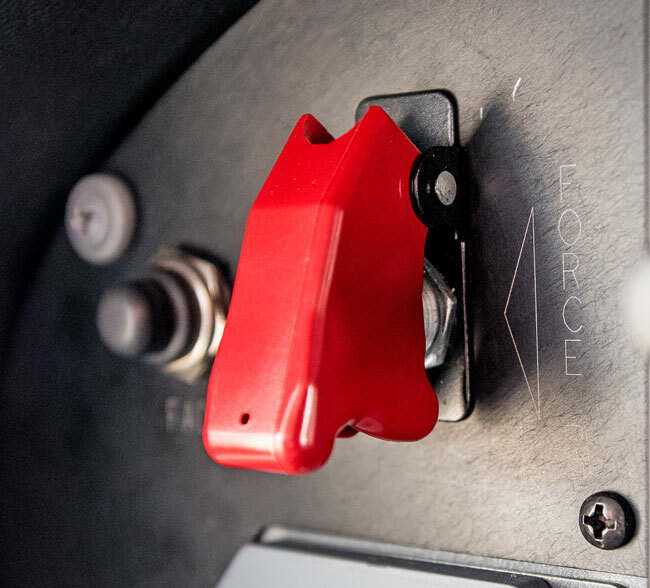 The preflight engine checks are different from what we gas-piston pilots are used to, but they are largely automated, and the switches and buttons are smartly designed to prevent accidents from happening. If there is an eye popping spec for the JT-A, it’s the max range, 963 miles, an improvement of 323 nautical miles over the 640-nm range of the Lycoming powered Skyhawk. Several of these improvements raise the question, is the Skyhawk Turbo JT-A a viable personal airplane? My answer to that is, absolutely, with qualifications. The “yes” part is easy to see. You get Skyhawk flying manners—it’s been one of the top two safest GA planes for decades, and you get four seats, though the full-fuel payload at 473 pounds is less than its alter-ego’s, which has a tanks-filled payload of 570 pounds. But, in terms of economy, the JT-A is the hands-down winner, and it’s faster by 10 knots, which gives it near-Skylane cruise speeds at about half the fuel burn, again, with cheaper fuel. If it were another 10 knots faster, which it surely would be with as much horsepower as the 180-hp Skyhawk, it would be a far more interesting discussion. At this point, the Skyhawk JT-A is tantalizing as a personal plane but probably too expensive for personal flyers. I normally discuss the flying qualities of the airplanes I report upon, and I have touched upon the flight characteristics of the JT-A here. 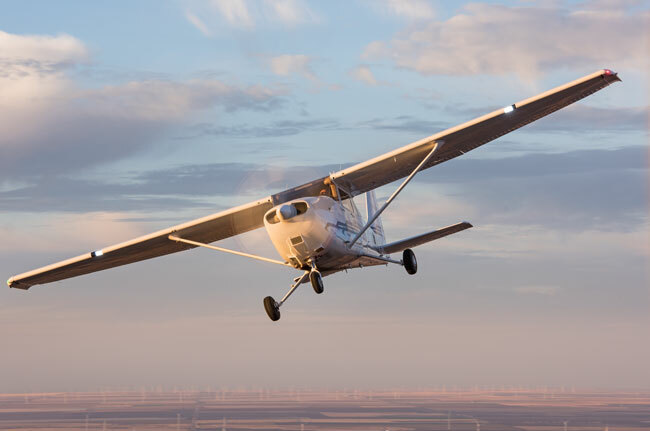 But the bottom line is this: The airplane does exactly what Cessna says it does, or better, and it feels and flies just like a Skyhawk, with the same flight control feel and identical, or very nearly so, speeds in all regimes, except cruise, as noted. One exception is that the 172 JT-A tends to float a little more if you don’t hit your speeds, the result, I’m guessing, of slightly greater residual thrust from the CD-155, but other than that, the landing behavior seemed nearly identical to its gas-piston hangar mate. One of the biggest advantages of the 172 JT-A is its outstanding hot-and-high performance. 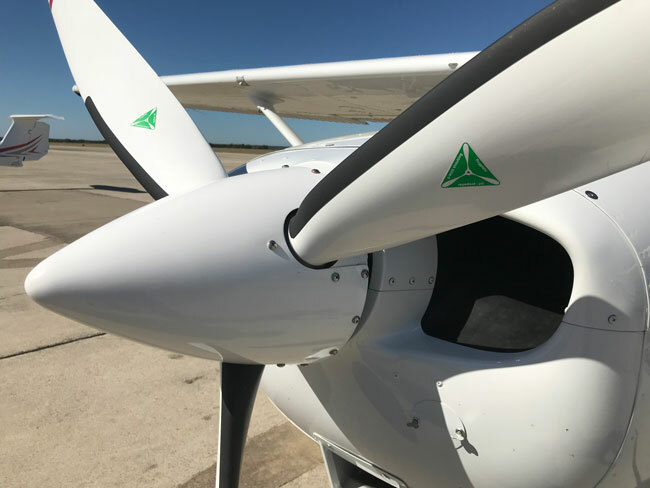 Because the CD-155 engine is turbocharged, it continues to produce full rated power up to altitudes where a naturally aspirated engine would struggle. What’s the future of the JT-A? It’s hard to say, and it’s certainly a question that’s essentially related to the wider acceptance of diesel engines in light planes. 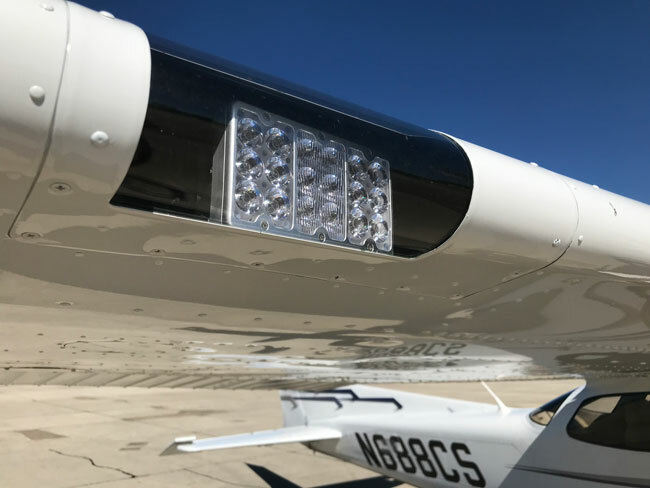 With Diamond’s broad success with the technology, with Piper and Cessna now all fielding diesel-powered versions of trainer planes, it’s very likely that the JT-A movement is gathering steam. 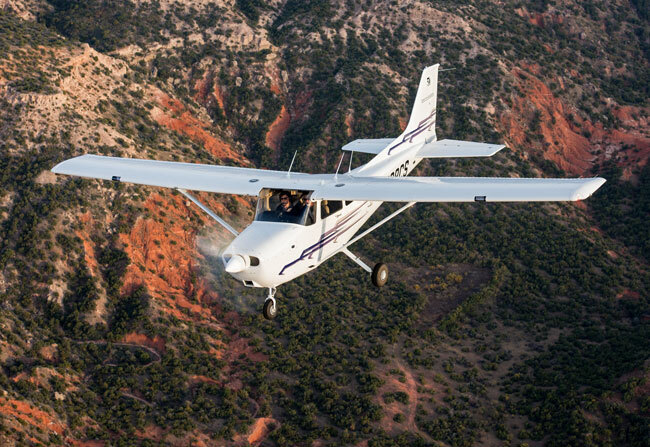 Cessna has already made one fleet sale in the United States, and as schools get more comfortable with the technology and realize the cost savings they could realize long term, it’s likely that the Skyhawk Turbo JT-A is only taking off. 2018 Turbodiesel Cessna JT-A Specifications. 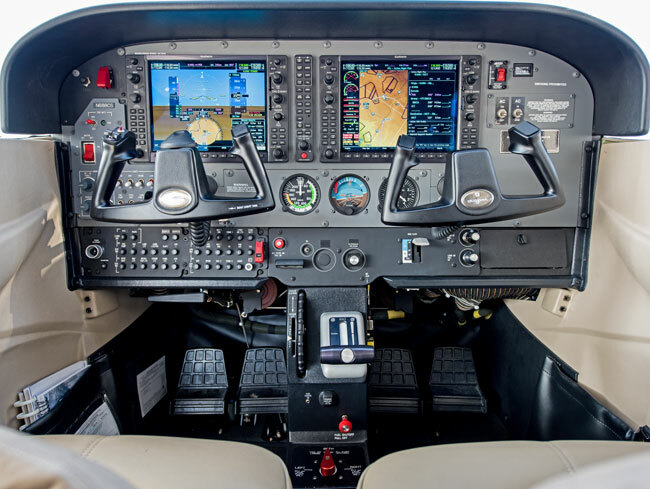 The plane we flew for this report was the first factory production model and was outfitted with the standard Garmin G1000 NXi avionics suite. Optional equipment included the Garmin FlightStream connected cockpit solution and SurfaceWatch and factory air conditioning. This doesn’t seem right: a diesel cycle engine doesn’t have a spark ignition system. Could you be referring to a glow plug system for starting? What about the 182 ? Are they going to have the diesel soon ?